Accord Legal Services are proud to be working with several organisations to broaden the range of services available to our clients and theirs. We also support a number of charities through our Charitable Will service. A partnership with Accord Legal Services can benefit your business in a number of ways. We can assist your employees with their Wills, holding a free drop-in clinic to give them advice and information. We can provide our full range of services to your clients and supporters, emphasising the importance of making a Will and giving you an affordable and reliable contact to refer your customers to. You can read more about our partners below; you can also click the logos to go directly to their websites. To learn more about becoming a partner of Accord Legal Services, contact our partnerships adviser on 01744 807048, or send an email to liam@accordwills.co.uk. In September 2018, Accord Legal Services became the Hanley Economic Building Society’s official estate planning partner. We are pleased to offer our range of legal services to the Hanley’s valued clients. With a 96% customer service approval rating and a history of helping clients since 1854, the Hanley are an organisation we are extremely proud to support. Accord Legal Services and the Hinckley and Rugby Building Society have partnered to offer our clients a wider range of services, ensuring there is help at hand for their financial and estate planning needs. 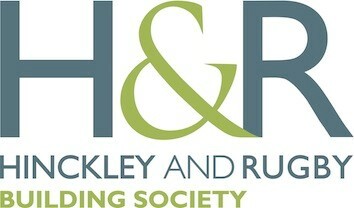 Hinckley and Rugby are wholly committed to exemplary customer service; it is a pleasure for Accord to support their clients with their estate planning needs. Blesma are a national charity with a history of helping limbless veterans dating back to just after the First World War. Accord Legal Services are exceedingly proud to support Blesma and the valuable work they do, assisting limbless veterans and their families with a range of estate planning matters. Remember a Charity are an organisation that promotes the benefits of leaving legacies to charities within Wills. Accord are proud to support Remember a Charity, in particular their “Remember a Charity Week” initiative. Leaving legacies to charities in your Will is a superb way of continuing charitable giving, even after you’re gone; Accord can provide a wealth of information when it comes to accommodating charities in your Will. The Steve Prescott Foundation are a St Helens based charity raising money for The Christie Hospital and TryAssist. It is a pleasure for Accord to support a fantastic local cause. Through our jointly run Will Surgery, we can help clients make their Will whilst also raising money for the Foundation through an immediate donation, as well as the option to leave legacies within Wills. The Horse and Pony Protection Association (HAPPA) are a charity for the benefit of horses based in Burnley. HAPPA do excellent work in caring for equine animals, including former working horses and those that have been abused or neglected. SELFA are a children’s charity operating in the Skipton and Craven area. They are dedicated to working towards a community where vulnerable, disadvantaged and disabled children and young people experience happiness and belonging. Break is a charity in Norwich providing children’s homes for disadvantaged children, with six mainstream homes in Norfolk and Cambridgeshire. Birmingham St Mary’s Hospice supports 400 individuals with life-limiting illnesses every day. Over half of their yearly funding is provided by voluntary donations; Accord is proud to support their cause through our Charitable Wills Initiative. The Whiston and St Helens Hospitals’ Charity works for the benefit of these two hospitals in the North West. Donations to the charity help to support the work they do, including supporting patients with life limiting conditions. The HoneyRose Foundation are a charity dedicated to granting special wishes for adults suffering from cancer and other life-threatening and terminal conditions. The links on this page connect to external websites. Accord Legal Services Ltd is not responsible for the content and security of external sites.